One of the most common struggles reported by our clients is difficulty with spot-reducing stubborn fat deposits and achieving a tighter, sculpted body. Many individuals spend countless hours working out and constantly strive to improve their dieting habits, yet still do not see the results they want on their bodies. BodyTite is revolutionizing the world of liposuction and achieving smoother, more natural-looking beautiful body sculpting results. The BodyTite system is a next-generation evolution of liposuction called radiofrequency-assisted liposuction or RFAL. RFAL technology produces smoother fat reduction and body firming results. Contact Dr. Daniel Brown to schedule a consultation to learn more about BodyTite. 4 How does BodyTite Work? Minimally-invasive, low-impact, safe and efficient, BodyTite is the pinnacle of liposuction and body contouring technology, capable of dual-action fat reduction and skin tightening treatment during a single treatment. Compared to traditional liposuction techniques, BodyTite provides superior results for reducing stubborn pockets of exercise-resistant fat and smooth, taut skin in the treatment area. Traditional liposuction methods have been effective for removing fat from the body. However, many of the older methods were limited in capabilities and had a number of drawbacks. Most power-assisted liposuction methods could only remove fat but achieve little to no significant skin tightening. Without skin tightening, liposuction treatments may result in dimpling or divots in the fat of the treatment area. BodyTite’s RFAL technology combines fat aspiration, dermal heating, and blood vessel coagulation for smoother, consistent body remodeling. This results in effective spot reduction of fat deposits and noticeable, long-term skin tightening. BodyTite is indicated for reducing fat from the buttocks, thighs, arms, back, and body. Candidates should be in good overall health and struggling with trouble-spots of excess fat on the body. Ideal candidates should be within a reasonable range of their goal body-weight. BodyTite should not be thought of as an alternative to weight loss and is not meant to function as a substitute for a healthy diet and exercise. BodyTite is particularly ideal for patients of the “in-between” gap category where their bodies have some amount of excess skin and fat tissue, but not enough to warrant a surgical procedure such as abdominoplasty. Schedule a consultation with Dr. Brown to learn more about the beautiful results you can achieve through BodyTite treatment. The science that makes BodyTite’s incredible results possible begins with radiofrequency-assisted lipolysis or RFAL. RFAL refers to two aspects of BodyTite’s capabilities: fat aspiration and dermal heating. The design of BodyTite’s internal and external probe is unique. The internal probe has a suction-attachment and is worked through the subcutaneous fat layer beneath the skin. Meanwhile, the second, external probe applies dermal heating at the surface level of the skin directly above the internal probe. These two heating probes produce dermal heating action that results in 3-dimensional soft tissue contraction. Clinical studies have shown 30% skin contraction achieved simultaneously during fat aspiration. This simultaneous dermal heating and fat aspiration also result in improved treatment efficiency. Compared with other laser-assisted liposuction modalities, BodyTite delivers results nearly four times faster. RFAL offers an ideal treatment modality for those who have some skin laxity. In many traditional liposuction cases, patients who have skin laxity will experience divots, dimpling and an irregular appearance after treatment. The dermal heating effectively achieves smoother contours and better overall sculpting. BodyTite is performed under local anesthesia on an outpatient basis, which means there will be no need to “go under” and you’ll be on your feet and able to return home as soon as the treatment is complete. The procedure will involve numbing injections to the treatment site and swell the fat layer for ease of aspiration. Through a small incision (measuring less than 3 mm) the BodyTite probe is inserted and moved through the subcutaneous fat layer. During this fat aspiration phase, both the internal and external probes emit radiofrequency energy. The internal probe is directional, emitting RF energy towards the external probe, which results in effective coagulation of fatty tissue, fibrous tissue, and the soft-tissue matrix. The treatment is performed between 5 to 55 mm in depth, addressing fat deposits near the surface of the skin and leaving deeper, sensitive structures intact. The treatment session can be completed in an hour or more depending on the size of the treated area. After the session is complete, relatively minor swelling and bruising may occur, but improvements may be immediately obvious. A compression garment is wrapped around the treated area to reduce swelling and allow the body to settle into its newly defined contours. With BodyTite’s RFAL, an average of 30% skin contraction is common in the treated area that may continue for at least three months after treatment. The final results of treatment are long-lasting and can be permanent if patients maintain effective workout and diet routines. The FaceTite system is the facial remodeling treatment from InMode. Designed upon the same RFAL modality as BodyTite, FaceTite addresses fatty deposits and skin laxity of the face and neck for a near-instantaneous facelift. FaceTite is a minimally-invasive facial sculpting treatment that can reduce submental fat, remove jowls, and tighten loose facial skin. Designed with a compact, shorter RFAL probe, FaceTite results in smooth, natural-appearance fat aspiration and skin tightening. SkinTite’s dermal heating triggers treated areas to tighten by as much as 40% over a period of six months after a treatment session. FaceTite results last for years after treatment and achieve great results after just a single session. The FaceTite treatment is performed under local anesthesia and complements well with other modalities such as the BodyTite system for a complete, body remodeling result. BodyTite and the tummy tuck are effective treatments for addressing sagging and skin laxity around the abdomen and flanks. However, the tummy tuck, or abdominoplasty, remains the ideal treatment for removing excess skin from the abdomen and tightening stretched abdominal muscles that can typically occur due to pregnancy or extreme weight loss. BodyTite is ideal for those “in between” who have some skin laxity and fat in the midsection, but not enough to warrant surgery. Some patients with significant skin sag around the abdomen may opt for BodyTite treatment since the procedure is less intensive, produces negligible scarring and involves shorter recovery time. There are no “perfect” types of liposuction or body contouring techniques. The best options are determined based on the specifics of your personal goals and unique aspects of your personal anatomy such as body type, skin elasticity, age, and personal medical history. 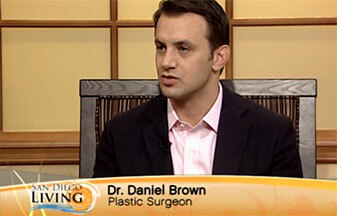 The best way to determine which options are best suited to your case is through a consultation with a board-certified plastic surgeon like Dr. Daniel Brown. Dr. Brown meets with each patient personally during their consultation. Together, Dr. Brown and the patient will privately discuss their body goals and go over treatment options. After a physical examination and conversation about the patient’s personal medical history, Dr. Brown will recommend the treatment option that is most appropriate to their case. Each treatment is custom-designed to meet the goals of the patient and achieved the best results for their anatomy. Dr. Brown draws on his extensive training, expertise, and experience to provide a comfortable, positive experience so each patient comes away feeling confident that they are received the treatment that will deliver the best results for them. The cost of BodyTite will vary from treatment to treatment depending on a variety of factors such as the size of the area treated and the inclusion of complementary treatments. You will receive a customized quote for your proposed treatment at the end of your consultation.